Clutch Masters Twin Disc Clutch Kit - Dezod Motorsports Inc - Home of the automotive performance enthusiast since 2002. Clutch Masters is proud to introduce the finest and most economical multi-plate clutch systems available for today’s high performance vehicles, the 725 and 850 Series. 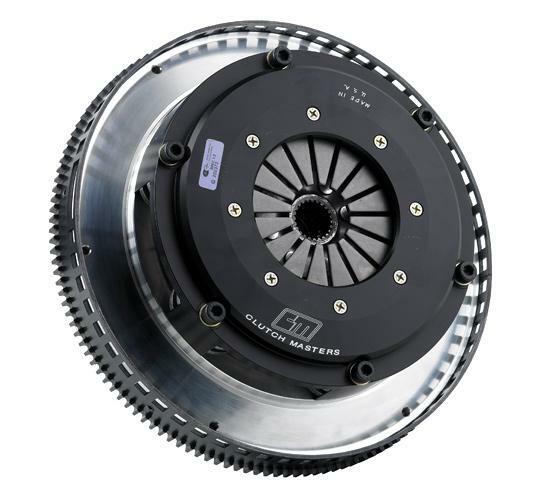 Clutch Masters Twin Disc systems are pure racing technology that also works well in high performance street applications. They are designed to hold tremendous horsepower and torque ratings, while retaining a very smooth operation. By slightly increasing the clamping force of the pressure plate and adding to the square inches of usable disc area, CM Twin Discs significantly increase clamping values with only a 25-50% increase in pedal pressure depending on the application. The cover assembly is machined from billet aluminum with 25% more tensile strength than the competition’s cast unit. Just installed this on my SRT4. The FX600. It has held up to a ton of drag runs and engages close to stock. Great price as well! Thanks TH!